FBI Special Agent in Charge (SAC) Eric Birnbaum is pleased to announce Pacifica Institute of San Diego as the 2016 recipient of the FBI Director’s Community Leadership Award (DCLA). 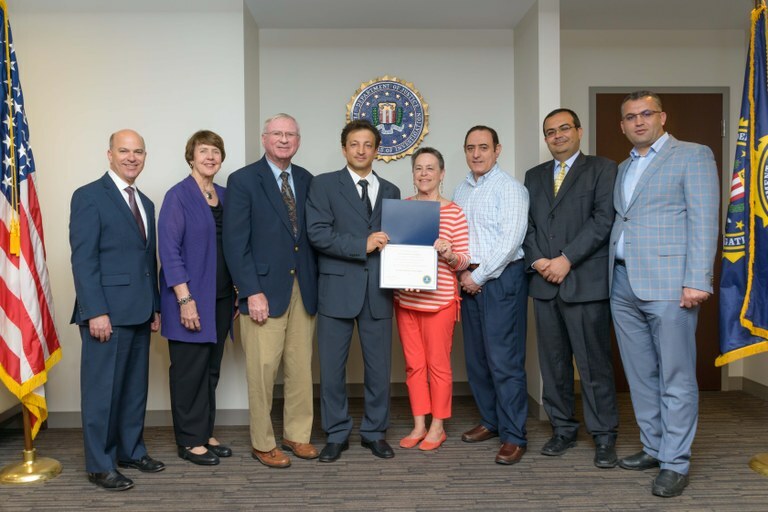 On Thursday, March 9, 2017, SAC Birnbaum presented the award to Pacifica Institute’s Director, Mesut Inci, during a ceremony held at the FBI San Diego’s Federal Office Building in Sorrento Valley. The DCLA was estblished in 1990 as a way to honor individuals and organizations for their efforts to prevent crime, terrorism, drugs, and violence as well as to further law enforcement efforts in their communities. Each year, the special agent in charge of each of the FBI’s 56 field offices selects an honoree that has made a significant difference in their community. Pacifica Institute was selected by SAC Birnbaum for the incredible work they have done for the San Diego community this past year. Pacifica Institute was founded in 2003 and “strives for social justice, interfaith cooperation, advocacy through positive change, relationship building and partnership for the common good, while respecting both religious and non-religious identities through a wide range of activities.” The organization holds several events each year to strengthen the community, build bridges, and to embrace people without regard to race, religion, ethnicity, or faith. Pacifica Institute and its San Diego Director, Mesut Inci, are strong partners of the FBI and the San Diego law enforcement community in achieving these goals. 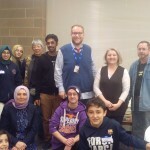 For example, during the Ramadan holiday, Pacifica Institute held seven Iftar dinners with different sectors of the community such as the Anti-Defamation League (ADL), educators and law enforcement agencies. On June 23, 2016, Pacifica Institute held an Iftar dinner where 120 members of the Muslim community and San Diego law enforcement came together to celebrate this revered tradition. The event’s theme was “Building Hospitality as a Way of Sharing Cultures.” Through sharing a meal, the goal was to break down misconceptions and fear of the Muslim community and to increase unity and collaboration. These dinners successfully raised awareness and educated various sectors of the community about the Muslim religion and culture. In addition, Pacifica Institute held other events to engage the Muslim community with law enforcement. For example, Pacifica Institute hosted an FBI Community Relations Executive Seminar (CREST) in San Diego. Through the CREST, Pacifica worked to raise awareness of crimes, crime prevention and the FBI amongst their members and partners. The CREST covered programs including: Crimes Against Children, Cyber Crimes, Civil Rights, FBI Employment, and Crime Reporting. 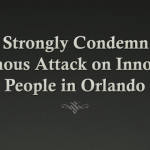 Furthermore, Pacifica Institute has been hosting seminars throughout San Diego County to address issues related to extremism and radicalization as well as hate crimes against Muslims. 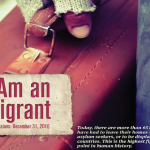 The seminars are titled “Muslim Voices Against Extremism.” One seminar held at the University of San Diego included a panel of speakers who educated university students, staff, and the public about the difference between Islam and violent extremists. Pacifica Institute of San Diego also hosts a bi-monthly group called “Woman of Faith”. During these events, women from different cultures and religions come together to learn from each other and break down religious and cultural barriers, thereby promoting unity in the community. 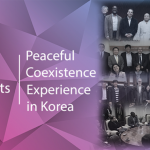 As evidenced by these examples, Pacifica Institute is an organization of change and action, breaking down barriers, reducing fear, and unifying the community. This commitment and action in the San Diego community prove Pacifica Institute as a well deserving recipient of the 2016 FBI Director’s Community Leadership Award. Mr. Inci will join DCLA recipients selected by other FBI field offices across the nation at an awards ceremony to be held in Washington, D.C., on April 28, 2017, where he will be personally recognized and honored by FBI Director James Comey. For more information on the FBI Director’s Community Leadership Award, contact Community Outreach Specialist Yadira Dickey, at yadira.dickey@ic.fbi.gov.